Finding great value accommodation in Taupo just got easier with these amazing packages. You'll find a variety of accommodation types from 5 star Luxury Lodges to spacious park-like campsites. Most packages provide even more savings with the addition of hot pools, spa treatments and much more. Enjoy and relax in our spacious Superior Studio and with a breakfast at Savour Cafe you will get ready to explore Taupo. 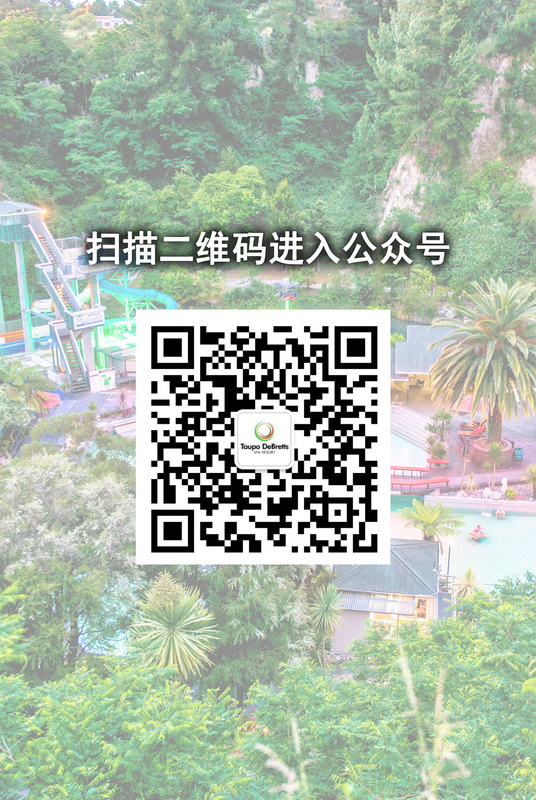 As you walk down the hill, DeBretts Waterpark is featuring indoor and outdoor pools in a mirific New Zealand native landscape. Guests staying in our Holiday park have discounted rates for the Waterpark. The night colourful lightening will be a whole new breath-taking experience mesmerising your break at Taupo DeBretts Spa Resort. We have an awesome deal on campsites at the moment, including the opportunity to save when you stay for two nights or more in our Holiday Park. If you are looking for accommodation with all the mod con's at an exceptional price this package is for you. Enjoy relaxing on the deck in a peaceful setting taking in the great views of the Taupo Region in our Qualmark 5 Star Holiday Park Superior Lodge. The Lodges are very comfortable with a King Bed,bunk bed and single bed, Full Kitchen, Large Flat Screen TV and Heat Pump. Perfect for couples or families looking for the next level in accommodation.Great package if you are planning a winter break to enjoy Ruapehu ski fields! The Ultimate Package - Save over $150! Perfect for anniversaries, a birthday or wedding gift or simply to treat you and your partner to a luxurious getaway. This package includes two nights accommodation, massages, breakfasts, wine, pool passes and free Wi-Fi, what more could one wish for. Enjoy a two night stay in our gorgeous new Villas or Two Bedroom Lodges and enjoy some rest and relaxation in the Volcanic Zone. Read more about The Ultimate Package - Save over $150!